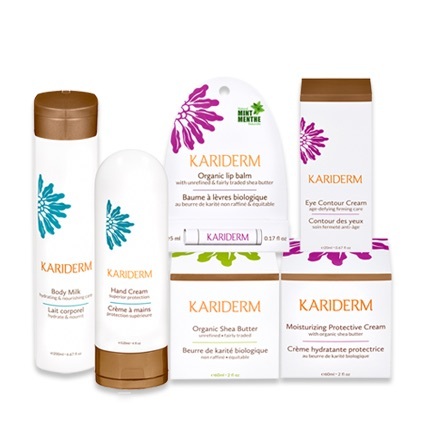 What: Kariderm is a Canadian fair trade accredited beauty brand that uses raw organic unrefined shea butter from Western Africa; the lineup includes products for the face, hair and body. Every Kariderm product sold helps to finance an exclusive healthcare program for women producers of shea butter in rural Burkina Faso. About: Shea butter’s blend of fatty acids, sterols and vitamins A, D and E, improves skin’s health, minimizes wrinkles and improves elasticity. Because of the high content of this special ingredient, in addition to several natural actives and plant extracts, Kariderm products offer diverse solutions to numerous skin conditions. Bonus: All ingredients used are a result of traditional methods of production – eliciting superior results. All raw materials are biodegradable, and all plastic, metallic or cellulosic waste can be recycled. What: With the holidays right around the corner it’s time to start planning your annual holiday gotta-give gifts. 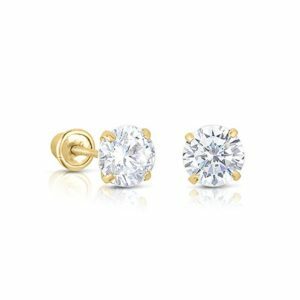 Amopé Canada understands that finding the perfect present for the ladies in your life can sometimes be a challenge. To alleviate some of your gift-giving stress, Amopé suggests you pamper your loved ones with its new, limited-edition Pedicure Gift Set. 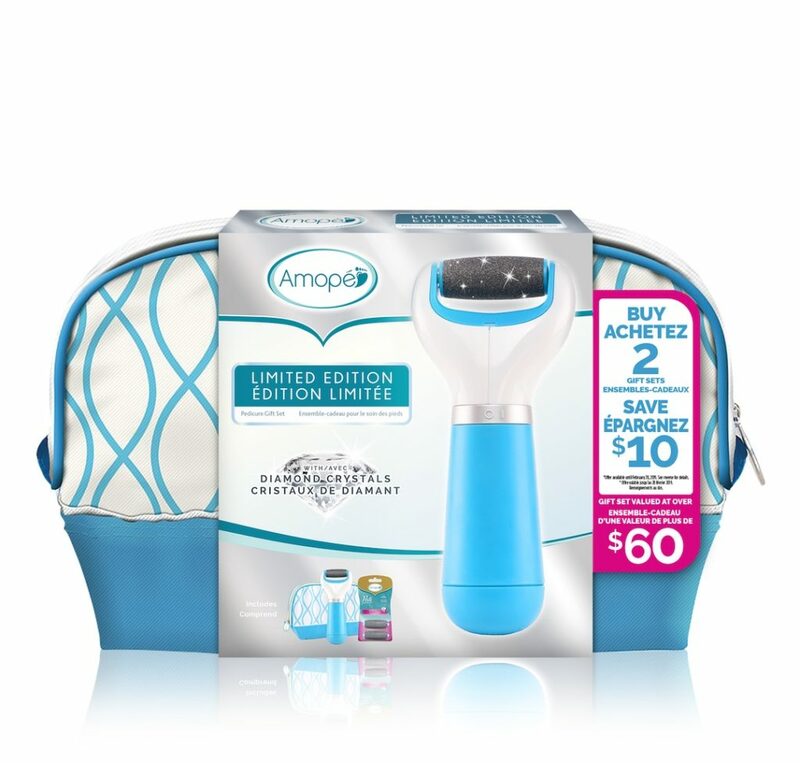 About: Amopé’s Holiday Gift Set includes Amopé’s Pedi Perfect Electronic Foot File with Diamond Crystals for added exfoliation, extra coarse roller head refills and a compact beauty bag, all for under $50. Bonus: Valued at $60, the Amope Pedicure Gift Set is specially priced for the holidays at only $39.97 – $44.99 and when you buy for 2 special ladies in your life, the on-pack coupon lets you save $10! Where: The Amopé Pedicure Gift Set can be found at major retailers across Canada including Walmart, Shoppers Drug Mart and Amazon. 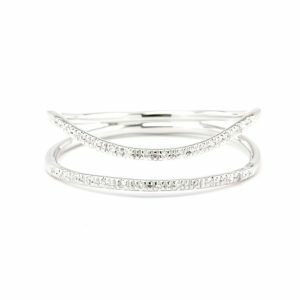 Located in Toronto, Carnabys is a new breed boutique store specializing in one-of-a-kind bespoke jewellery. Using the highest quality materials, the company offers 20+ years of expertise in contemporary, luxury design and personalized service. With a flair for the extraordinary, the pieces are enjoyed by local couples, sports icons and celebrities from around the world. In celebration of World Vegan Day, Arbonne is excited to share new botanically-based green beauty essentials perfect for protecting, hydrating and brightening skin during the dry fall/winter season that will delight vegans and skincare gurus alike! One of our favourite picks is the Arbonne New Intelligence Pollution Defense CC Cream Broad Spectrum SPF 30 ($52). What: Features pollution defense technology that creates a breathable protective barrier against microscopic, everyday pollutants while enhancing skin’s radiance. About: This multi-functional cream delivers the benefits of 13 different products: sun protection, pollution defense, environmental aggressor defense, primer, protector, concealer, hydrator, mattifier, brightener, blemish cover, pore refiner, soother and complexion controller. Available in four shades – fair, light, medium and dark. Bonus: Lightweight, non-greasy, long-wearing formula which is suitable for all skin types. What: Bio Sculpture has been leading nail care since 1988 bringing to the market the first soak-off Colour Gel Nail System which helps to strengthen and promote the growth of natural nails. The products are all vegan, animal cruelty free and “10 free” non toxic. 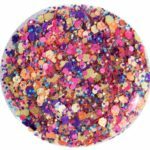 About: Bio Sculpture Colour Gel is a flexible gel that will enhance the natural nail thus not only giving the nail added strength and firmness but also No Chip Nail Colour that will last for weeks without lifting, chipping, fading or wearing way at the free edge. All Bio Sculpture Gels cure under a 9watt UV-A Lamp and soak-off in as little as 10-20 minutes or 5 minutes per layer. A kaleidoscope of different sized pink, violet, indigo, orange and lime hexagon-shaped fragments engulfed in glassy clear gel. 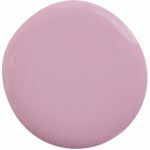 An innocent, slightly saturated pastel-pink colour flourishing ultimate femininity. Simple luminosity just doesn’t cut it anymore. 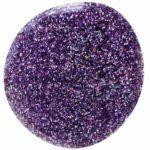 Experience the flirtation of sparkling violet – pantone colour of 2018 – glitter particles on the tips of your fingers.